Telecommunication is an inevitable part of every business. An efficient communication channel itself can bring better results to your business. Most of the companies are still using conventional telephone system for their business conversations. However, traditional telephone systems are not scalable and flexible as the IP telephony solutions. VoIP (Voice over Internet Protocol) technology revolutionized the way businesses communicate. It makes it much easier for organizations to adapt latest communication technology as per their requirements. 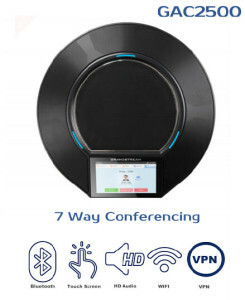 The main advantage of this IP-based technology is that, not only it can make calls over IP but also allows to stream video or transfer data over the same line. Save your money: Traditional Phone systems are way too expensive than IP based telephone solutions. 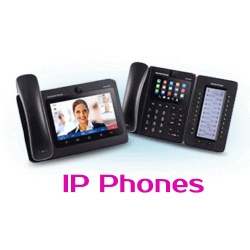 Particularly in international calls you can save a lot of money with IP telephony systems. 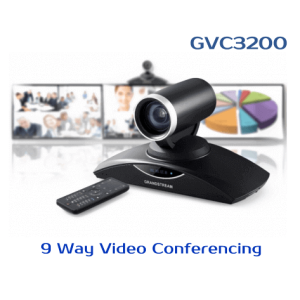 Voice, Video and Data: With IP based systems it is possible to make voice as well as video calls. Data transfer is also possible with the same network. Scalability: This is for growing businesses. It is always keep a future proof technology for your communication needs. This system can scale as your business grows. Reliability: IP PBX systems are more reliable than the conventional telephone system.it will lessen the cost and increase the productivity of the business communications. 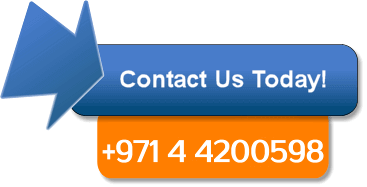 Why Grandstream UCM6208 IP PBX System? Grandstream UCM6200 Series IP PBX systems delivers enterprise-grade functionalities without any licensing fees or recurring fees. Grandstream is always focused on enhancing the features of their IP PBX systems to keep up with the business requirements. Granstream IP PBX systems are designed with all the features required for an organization to keep a flawless telecommunication. It offers high-level features which can help the organization to improve employee productivity by tracking the calls with Built-in call Detail records (CDR). It has an effective call queue management feature that helps the user to configure Automatic Call Distribution based on agent skills and availability. 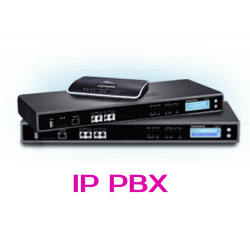 Grandstream is always one step ahead of other IP PBX manufacturers. Grandstream Dubai believes that a flawless telephone system can help you with attaining success in your business communications. With years of experience in the telecommunication industry, we have realized that IP telephony solution is the one important thing that every business should brilliantly invest on. No business is a success if it lacks effective communication. In this modern world, every business should be keep up the pace in communication with their competitors. Grandstream is well aware of the important of business communication. We always recommend our customers to implement the latest technology available on market to get the best possible outcome. We deliver our services all over UAE including the Emirates of Dubai, Ajman, Al Ain, Fujairah, Sharjah, Ras Al-Khaimah, Umm Al Quwain and Abu Dhabi.